G3 Thunder Bay port terminal, located at the mouth of the Mission River, has a capacity of 136,000 tonnes and handles approximately 1.5 MMT annually. G3 Thunder Bay has flexible shipping & receiving options (i.e. truck/rail/ship). We also handle and process grain screening pellets for resale. Operational 7 days a week. 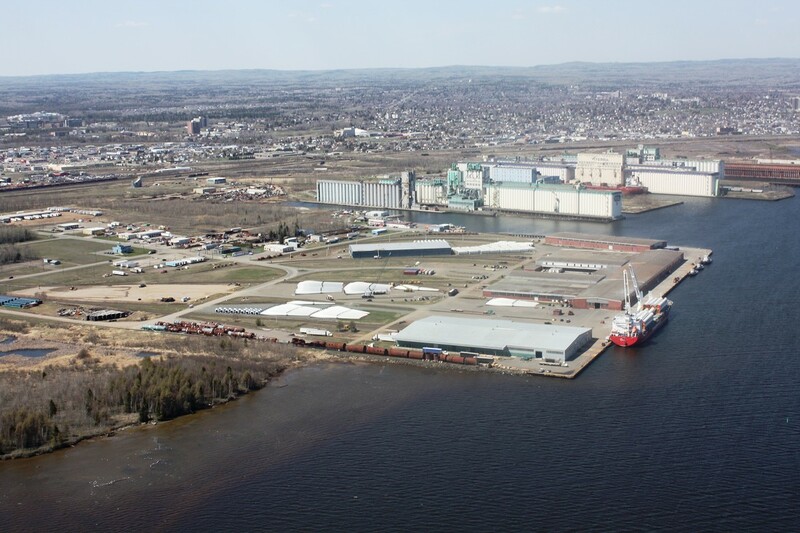 Keefer Intermodal is a full-service transportation facility in the hub of the Port of Thunder Bay. 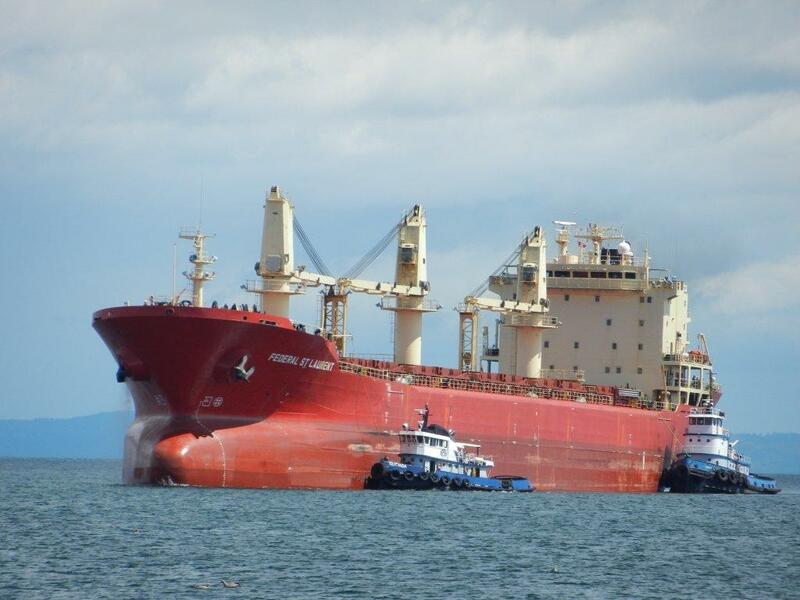 Most general cargoes that move through the port are handled at Keefer. Built on a 32 hectare site, the facility has 750 meters of marine berths directly linked to rail and highway. Dock aprons are 19.8 meters wide. A heavy lift railway track runs within 3 meters of the dock face and its wharf bearing capacity is recognized at 64 Kpa. Loading and unloading of railcars are done inside the transit sheds and truck bays are conveniently located for easy cross-docking operations and transfers from rail to truck. Cranes are also available, including Keefer’s Liebherr LHM 320 mobile harbour crane. The facility has controlled access and scheduled security patrols in all cargo areas. Keefer Intermodal is administered by the Thunder Bay Port Authority and is leased or rented on both short and long-term basis. Over 50,000 square metres (537,000 square feet) of inside storage space focused on handling forest products, steel, machinery, and bagged goods. Access to Trans-Canada Hwy & south to U.S. 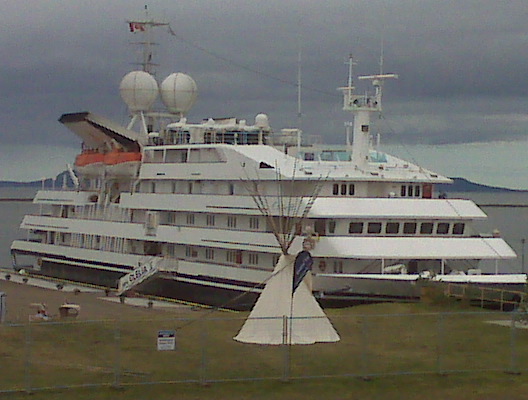 The Thunder Bay Cruise Ship Terminal is a Transport Canada approved terminal located adjacent to the award winning Prince Arthur’s Landing development. The facility’s 900 foot long pier and 27 foot draft can accommodate any Seaway compliant passenger or cruise vessel safely and securely. Amenities include metered potable water supply, easy shore-side access for passenger transfers and vessel servicing, crew lounge, free WiFi and is within walking distance to the City’s entertainment district. 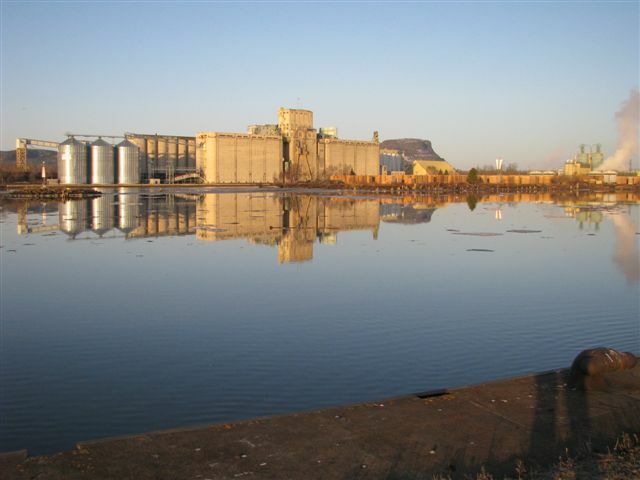 Thunder Bay Terminals, a wholly owned subsidiary of Russel Metals Inc. is a state of the art dry bulk handling system. In business for over 30 years, TBTL provides excellent customer service along with its supply chain partners. The terminal has 11 million tonnes of throughput capacity and 2 million tonnes of ground storage providing for flexibility of various products. The coal handling system provides for the unloading of 120 car unit trains using a single barrel rotary dumper at 4,000 tonnes per hour and stacking out to ground storage. 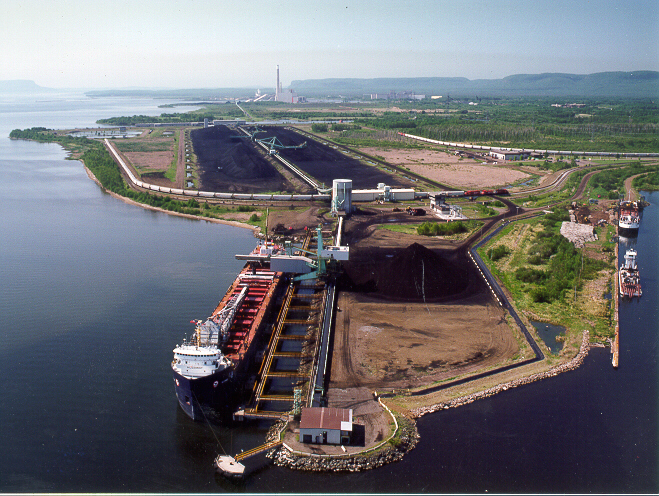 Coal can be reclaimed from storage at the rate of 6,000 tonnes per hour and transferred to the 250 metre dock, which can accommodate standard Seaway size vessels. The bridge type shiploader is capable of loading vessels at a rate of up to 8,000 tonnes per hour. TBTL also has a separate and dedicated dry-bulk handling system, which is used for potash and can handle a variety of free-flowing bulk commodities, including urea, grains and agricultural products. Trains of up to 120 bottom dump hopper cars can be handled via a dedicated loop track. The dry bulk shed can accommodate up to 3 hopper cars. Product is then directed via a conveying system to the common dock conveyor and shiploader. Combined with the coal system, TBTL has storage space for up to 300 rail cars. The Dawson family has been a fixture on the waterfront since the early 1950’s when Elliott Dawson started a « bum boat » business, or floating store to sell items to anchored vessels. His son Gerry purchased the company in 1983, with Gerry’s son Nathan joining in 2005. Tugs Robert W., Miseford, Glenada and Point Valour (800 – 1900 hp) are run by the most experienced captains in the port and have earned an excellent reputation for ship handling, ice breaking, marine salvage and emergency response. Barges Paul Becotte S., and Keewanis, both with 350 ton capacities, along with smaller boats and equipment have done dredging, underwater construction and repairs and spill cleanup both in the port and surrounding areas.